With the sun starting to creep past the clouds in the sky, many of us will be thinking about our summer holidays. Those who have already booked holidays and have used airport parking will know how stressful it can be. So if you feel like putting your mind to the test, Holiday Extras has created the ultimate brainteaser. At this current moment, people can spot the eleven differences in over 52 seconds – can you do any better? The mind-boggling puzzle asks users to identify the differences between the two airport parking images. Seamus McCauley, of Holiday Extras, said: “When it comes to Meet and Greet parking, we really invest in the little touches that make a big difference to our customers, so we wanted to see if Brits had the same eye for detail. “As a company, we believe in making the most of holidays by limiting the amount of hassle travellers experience along the way. 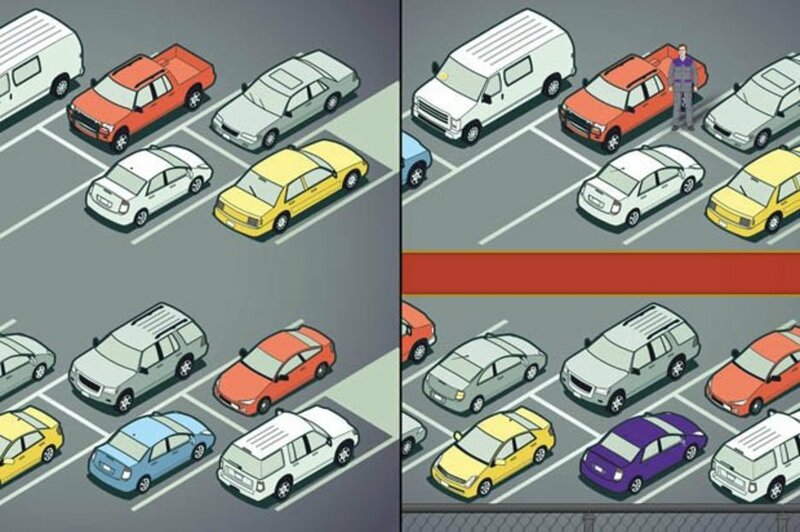 If you’re struggling to complete this brainteaser, try looking at the colour of the cars and surrounding details in the parking lot. But if you’ve given up, scroll down to see the answers below – which include red tarmac carpet and a missing windscreen wiper. Was this too easy for you? Or you can try and solve this tricky quiz with six questions.